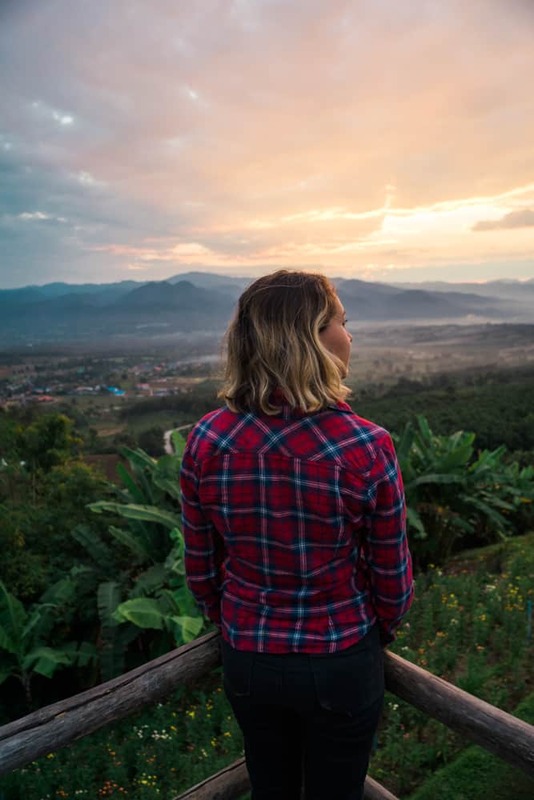 The Yun Lai Viewpoint is arguably the best sunrise viewpoint in Pai. 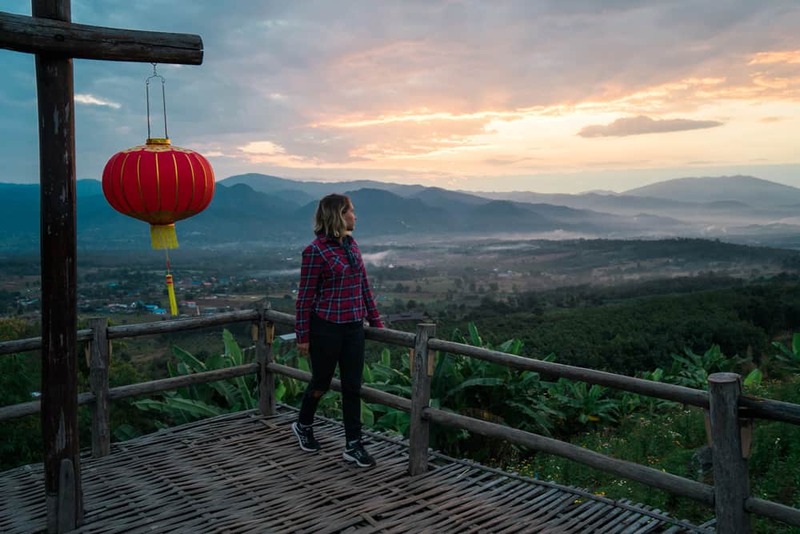 Located a short 15-minutes from the centre of Pai, the Yun Lai Viewpoint offers beautiful sweeping views of the valley! 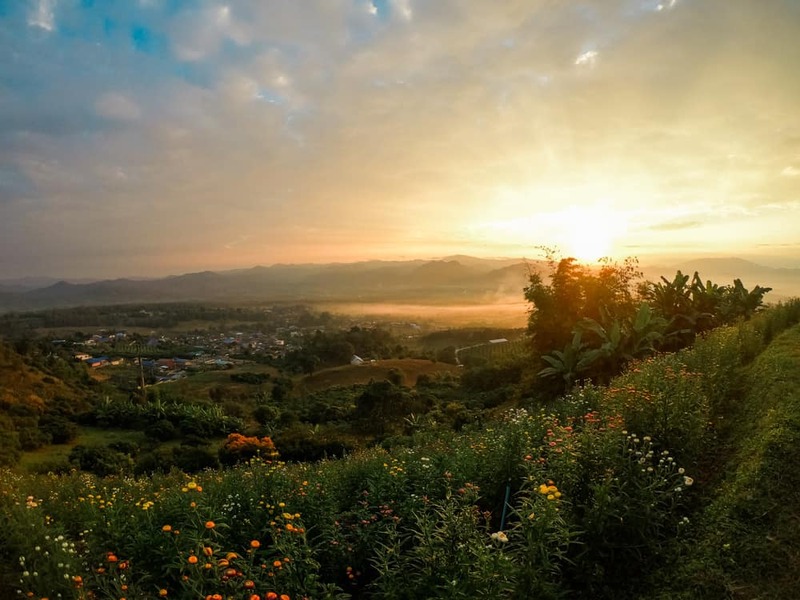 Yun Lai Viewpoint is located 6km west of Pai. 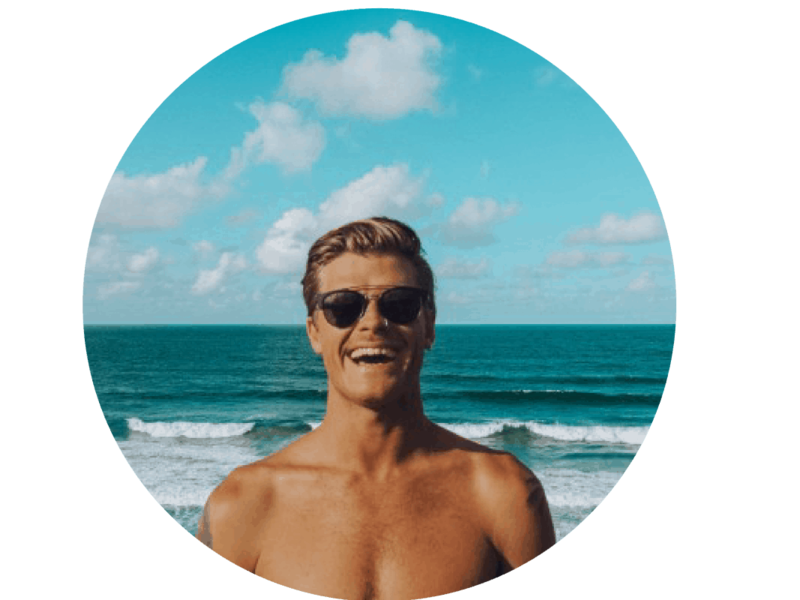 From the centre of town, it is approximately a 15-minute drive. I arrived at Yun Lai Viewpoint at around 6:30am with 30-minutes to spare before the sunrise. I parked my scooter in the carpark and walked through the beautiful entrance way that leads up to the viewpoint. The entrance fee to Yun Lai Viewpoint is 20 Baht. Yun Lai Viewpoint is a massive draw for tourists so it was very busy when I went. My guess is that there were around 50 people crowded around on the grass field and bamboo platform waiting for the sunrise. 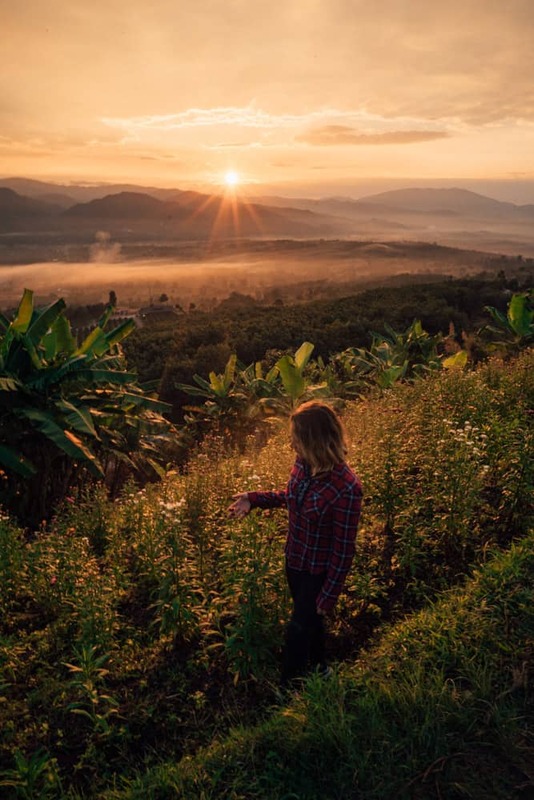 It was a bit overwhelming at first, trying to find a quiet spot amongst the crowds to enjoy the sunrise, so we perused the area and found a trail that leads down to some flower fields directly beneath the bamboo viewing platform and we scored this epic spot all to ourselves. 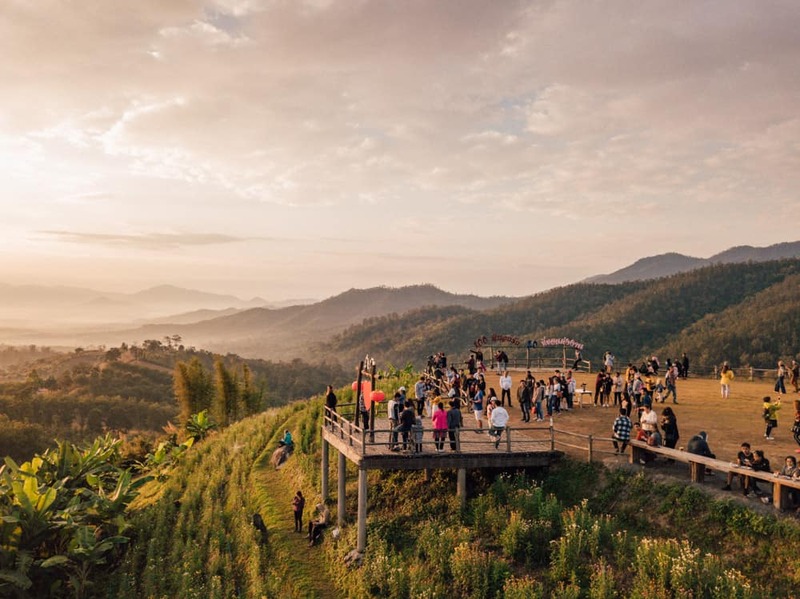 The Yun Lai Viewpoint itself offers incredible panoramic views of the surrounding mountainous region and the township of Pai. The sun began to rise and filled the valley with golden rays and the low lying fog started to clear, revealing the vast green landscape below! 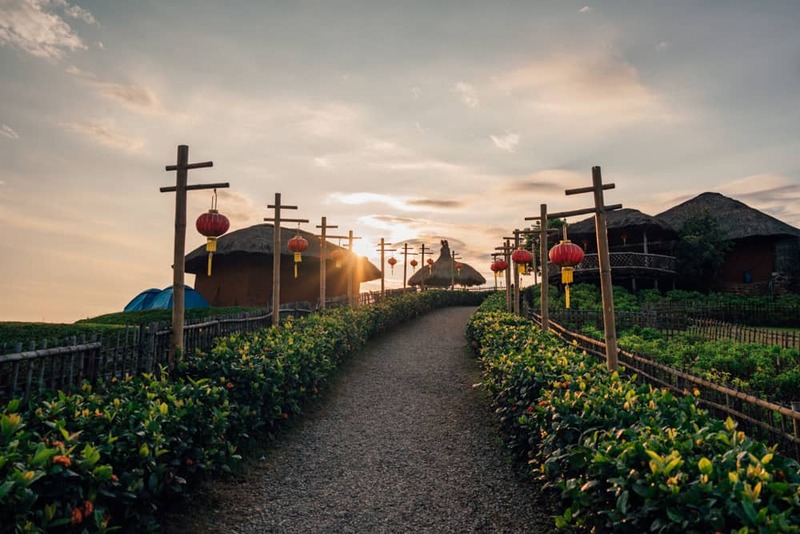 There is a cafe attached to Yun Lai Viewpoint, serving up hot coffee and baked goods, the perfect treat while waiting in the dark for the sun to rise. 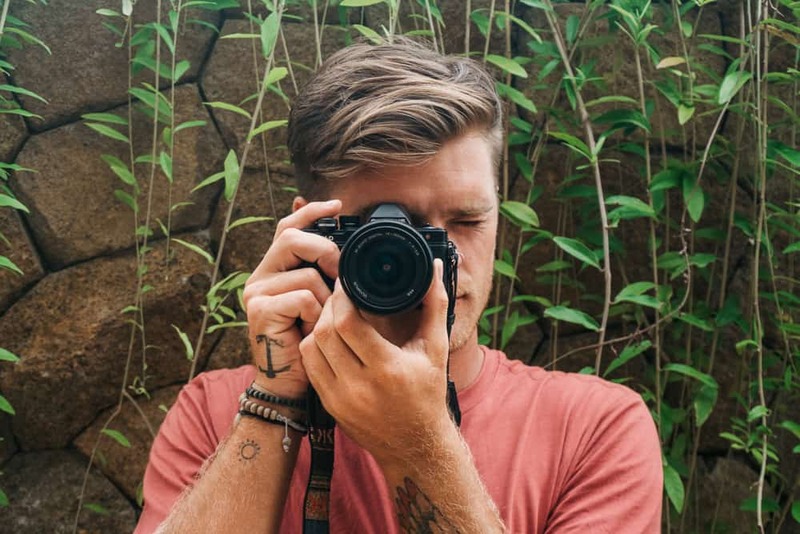 There is also half a dozen bungalow accommodations and tent sites available to book for a night or two. 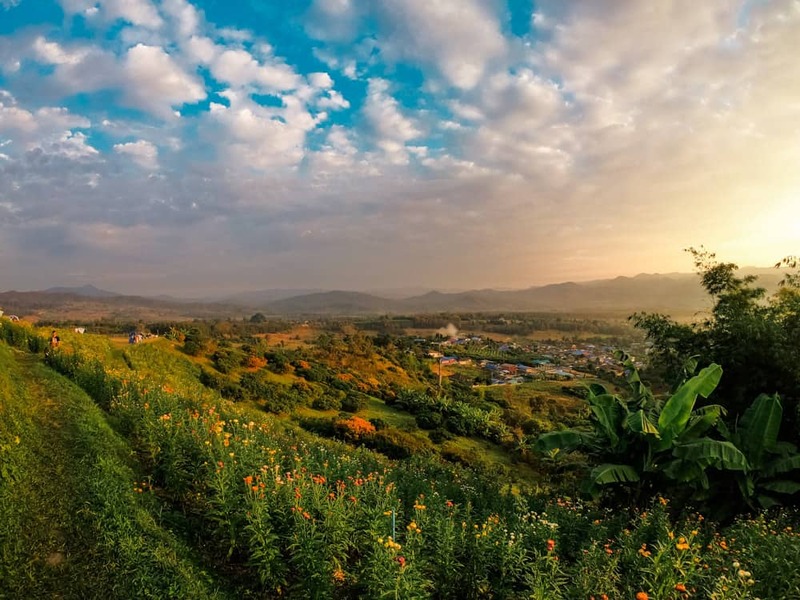 Regardless of a large number of tourists that visit the Yun Lai Viewpoint each morning, there are still secluded and quieter spots to be found in the flower fields for a better sunrise experience. 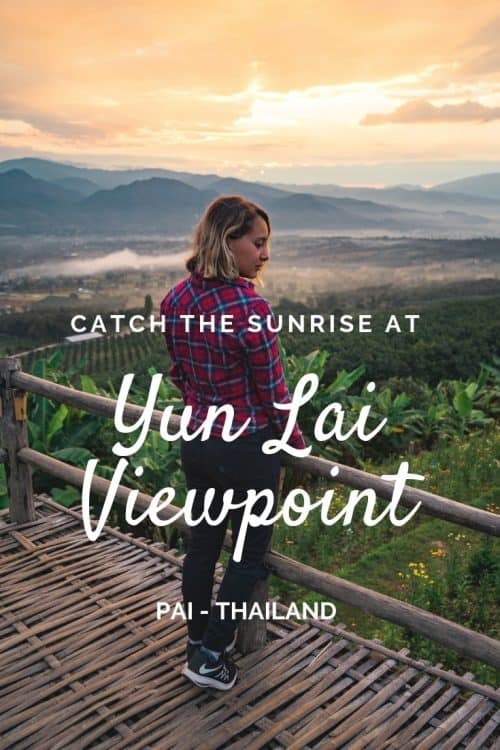 The Yun Lai Viewpoint was hands down my favourite location in Pai to watch the sunrise, so be sure to add it to your itinerary.